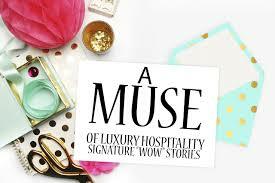 *My article A Muse of Luxury Hospitality, Signature-«Wow» Stories was originally published on Luxury Hoteliers Magazine (2nd Quarter 2017 – Page 44) and International Luxury Hotel Association https://www.luxuryhotelassociation.org/2017/07/a-muse-of-luxury-hospitality-signature-wow-stories/ . It was also part of the cover both in the hard copy and online magazine (Luxury Hoteliers Magazine). My warmest thanks to Mrs. Sharon Hirschowitz for this honoring hosting. This is done through Extraordinary Personally Scripted Hospitality Stories. 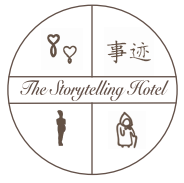 Narratives are powerful in moving, inspiring, and orchestrating emotional connections that make a person feel unique and define the connection between the most top-tier hotels and their guests. Today, more and more hotels tailor their hospitality strategies towards the adoption of an experiential orientation through stories. They script unique, extraordinary narratives and stage experiences, individually customized and personally meaningful for each guest persona. We see that even the amenities of the luxury suites become experiential, namely intangible, immaterial values: the personal pianist in the Royal Suite at The Goring Hotel, London, the Genealogist at Trump International Golf Links & Hotel, Ireland, the surf butler at St. Regis Monarch Beach, private ski lessons with triple Olympic medalist Florence Masnada at L’ Apogee Courchevel,France etc. Moreover, in hotels we sell experiences. Selling an experience means creating a memory, a narratable memory, namely a story. The following is a signature story that I orchestrated. The story of, a guest of The Romanos, a Luxury Collection Resort, Starwood Hotels and Resorts and Linear B clay plates of the 12th century B.C. Immersed in the cultural heritage of Messinia, from my role as Concierge at The Romanos, I learned in summer 2015 the history and the evolutionary path of the Greek alphabet, entranced by the fact that the first writing system of Europe was the Linear B, which was deciphered in Messinia, Greece, and Nestor’s palace (the king of Ancient Pylos). This emotional souvenir I gave as a gift to one of my clients. It was mid-July when I met Mrs. X, a very chic and enlightened lady. I recommended several dining options to her and every night she would come to my desk and warmheartedly thank me, describing in detail her evening. As her stay neared to an end, I decided to give her a very special gift: her name written in the most primeval Greek writing system, and, the very first writing system of Europe. The last day before Mrs. X left for Paris, I sent a storytelling note to her room and told her that my job at The Romanos is my first occupational position and that her gesture to thank me every night was the kindest reward. So, I wrote to her the story of the Linear B. The story begins in 1450 BC in the Palace of Nestor (20 minutes from the resort), where its ancient inhabitants carved their economic data on clay tablets in the ancient language of Messinia, the Linear B. The Palace of Nestor was, then, the administrative center of the region, so housed the financial records of the State on papyrus, clay tablets, etc. The clay tablets had incised on their surface the financial data of each year, detailing, for example how much oil was produced that year, the salary of the woman laborers etc. The plates had a one year lifespan, and after that period were destroyed and converted into raw material so that new tablets could be made. The official papers were the scrolls. Nestor’s Palace was destroyed by a fire that broke out in the kitchen, and the scrolls were destroyed, however, the clay tablets were baked by the fire and became harder so preserving them until archaeologists, thousands of years later, discovered them. In this way, Linear B was decoded, with assistance from other archaeological sources from other parts of Greece. Knowing this story with its great cultural significance, I wrote Mrs. X’s name with syllabic signs in Linear B, her small indigenous cultural gift. The next day Mrs. X came and found me to express her appreciation and to tell me how special I had made her feel. She told me to take care of myself, held my hands in her hands, and told me that she would return to see me again the next summer. …and Mrs. X left something of herself in Greece and Messinia, a very ancient story made from 1450 BC for her. Such a signature story draws on resources of improvisation, eventfulness, locality, personalization, and culturalization, that emotionalize the guest’s experiencein an extraordinary way. Aaker, General Atlantic Professor at the Stanford Graduate School of Business, proposes that: “everyone needs a signature story”. “A signature story is a story that you‘ve told over and over again most likely. It’s a story that when you share it, others look at you slightly differently and it’s a story that moves you closer to the goals that you might hold” (Jennifer Aaker: Harnessing the Power of Stories 2013). In our story, Mrs. X, through the story that I scripted, is lead to a transformation, an identity enhancement-enrichment. After my story she became too. Signature/“wow” stories in hospitality enable the emotional connection. The emotional connection is achieved when we capture the heart of the guest. It is a situation more unconscious than conscious, in which the customer continues to buy because he desires it, because he feels unique and because he comes closer to what he wants to be like a human. Ultimately, emotions are effective since they are very basic biological human mechanisms. When a hotel operates effectively, it enlists its intangible toolkit, namely experiential hospitality through “wow” stories, and succeeds in resonating with each guest’s emotional goals.